The most common type of flexible pavement surfacing in the U.S. is hot mix asphalt (HMA). Hot mix asphalt is known by many different names such as hot mix, asphalt concrete (AC or ACP), asphalt, blacktop or bitumen. For clarity, this Guide makes a conscious effort to consistently refer to this material as HMA. HMA is distinguished by its design and production methods (as described in this Guide) and includes traditional dense-graded mixes as well as stone matrix asphalt (SMA) and various open-graded HMAs. Typically agencies consider other types of asphalt-based pavement surfaces such as fog seals, slurry seals and BSTs to be maintenance treatments and are therefore covered in the Maintenance & Rehabilitation section. Reclaimed asphalt pavement (RAP) is generally considered a material within HMA, while forms of in-place recycling are considered separately. HMA can also be produced at lower than typical production temperatures (290 to 320°F) and is then categorized as Warm Mix Asphalt (WMA). WMA (see Sustainable Pavements page) can be produced using a variety of methods (e.g. asphalt foaming kits at the plant & chemical or wax-based additives) to reduce production temperatures by 15 to 50°F while maintaining or even increasing the time available to compact the mix. WMA is interchangeable with HMA in most paving applications. “Aggregate” is a collective term for sand, gravel and crushed stone mineral materials in their natural or processed state (NSSGA 1991). In 2009, the U.S. produced nearly 2 billion tons of aggregate at a value of about $17.2 billion. Roads and highways constitute31 percent of the total sand, stone and gravel market (NSSGA 2010). In HMA, aggregates are combined with a asphalt binding medium to form a compound material. By weight, aggregate generally accounts for between 92 and 96 percent of HMA and makes up about 25 percent of the cost of an HMA pavement structure. Aggregate is also used by itself or with a stabilizer for base and subbase courses. This design catalog is intended to give general structural design and mix type selection guidance for some typical Washington State HMA pavements. It is organized by general purpose, with each use type being addressed on a different page. These guidelines are intended for use in lieu of other guidance or specification. They are not intended to supercede official guidelines or specifications. 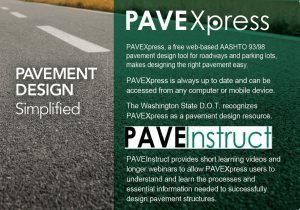 This page puts forth some basic guidance for use when designing HMA pavements and is meant to be used as a checklist. When designing a pavement, the guidance listed here should at least be considered. The guidance contained on this page is not absolute, however design and construction in conflict with this guidance should (1) only be undertaken for a specific reason and (2) only carried out once the associated risks are understood. 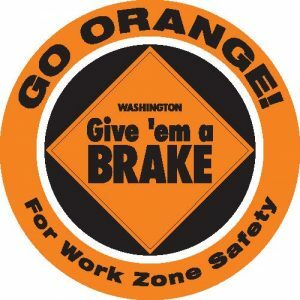 Top down cracking appears to be a common mode of HMA pavement distress in at least several states and countries. Traditionally, pavement cracking is thought to initiate at the bottom of the HMA layer where the tensile bending stresses are the greatest and then progress up to the surface (a bottom-up crack). Most traditional transfer functions used in mechanistic-empirical structural design are based on this concept. However, the late 1990s saw a substantial focus on a second mode of crack initiation and propagation: top-down cracking.